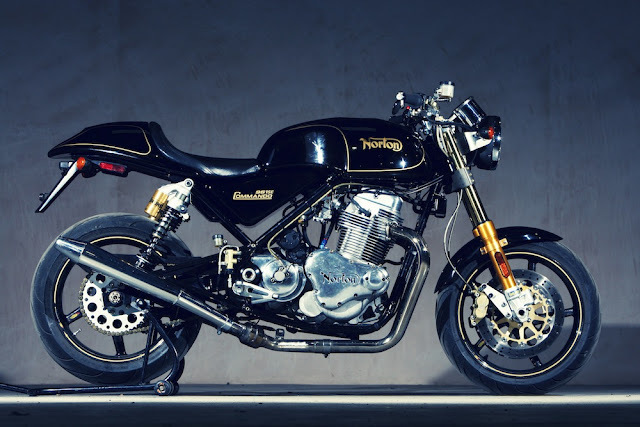 Chancellor of the Exchequer George Osborne today announced a deal that will see a UK Government-backed £4million development fund made available for Norton Motorcycles to increase investment in their British Motorcycle Manufacturer Academy. During a visit to Norton's Castle Donington headquarters, Osborne announced the deal that should see the creation of more than 600 jobs over the next five years, as well as the further development of an all British supply chain. This comes almost exactly a year to the day after MCN reported a promise of funds following a Twitter exchange between Norton CEO Stuart Garner and the Chancellor. Back then, Garner told MCN: “The help from the Government came about after I saw a Tweet George Osborne sent out saying a load of money had been given for green engine technology under development by Ford. I explained on a Tweet we were a small, British company who needed some help and his office got in touch." Apprentices at the BMMF are encouraged to learn all aspects of the British motorcycle manufacturing industry, including motorcycle model identification, motorcycle market assessment, development of race platforms, motorcycle and parts logistics and supply chain management. They also gain the Institute of Motor Industry's Motorcycle Maintenance and Repair Qualifications.